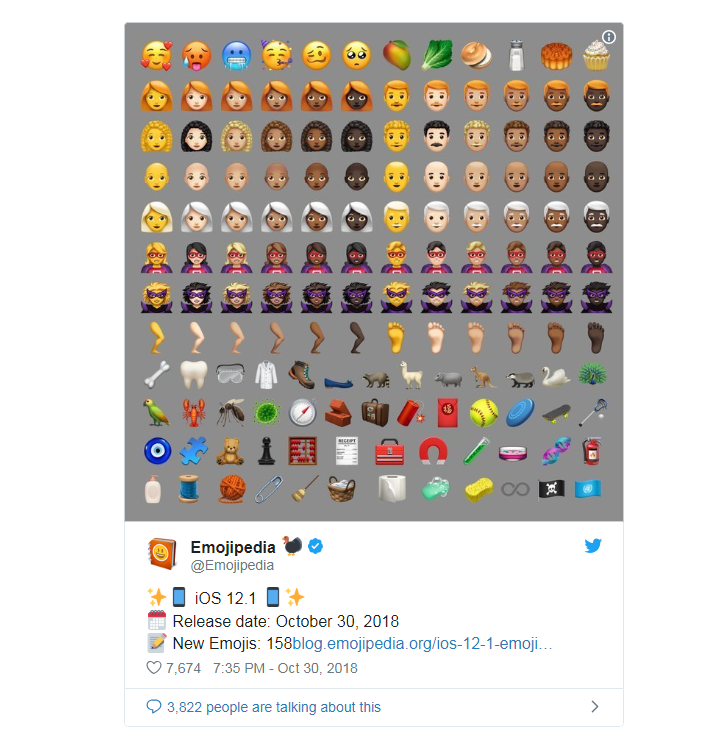 The hairless man or woman emoji have proven to be the most popular of Apple's new iOS 12.1 emoji since they were released on Oct. 30, Emojipedia said on Thursday. The bald icons were followed by woozy face, smiley face with three hearts and feet. 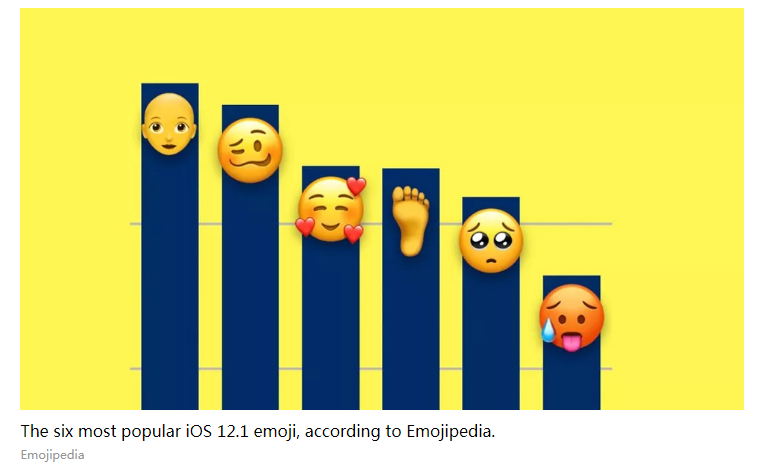 Emojipedia, whose name explains its purpose, generated the ratings from a Twitter thread based on comments, retweets and likes of each emoji received. The bald emoji might have had high engagement numbers because it is associated with existing slang phrases and memes, such as "wig snatched," according to Emojipedia's blog post. Wig snatching refers to unexpected events, usually involving someone famous. In the food category, the mango made the Top 10, followed by the cupcake. Llama topped the animal category. The least popular emoji are basket, broom and fire extinguisher.